I know, I know. Cookie Dough again? Yup. 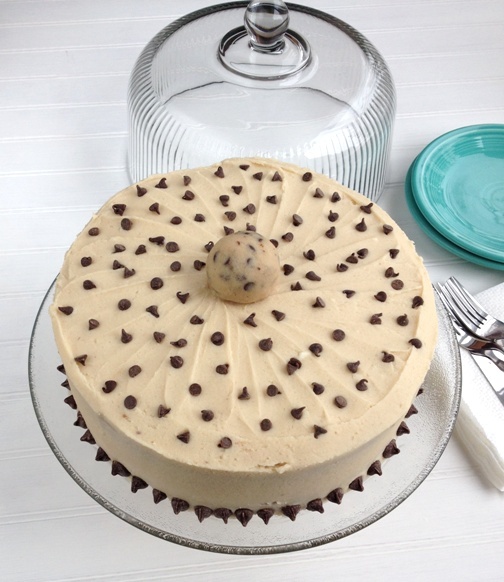 Posted in Fun Stuff, Sweet and tagged buttercream, chocolate chips, cookie dough, cookie dough buttercream, layer cake, yellow cake. Bookmark the permalink. Another June birthday dessert. I think this is the last one I’ll be making this month. (My waistline is thankful for that!) 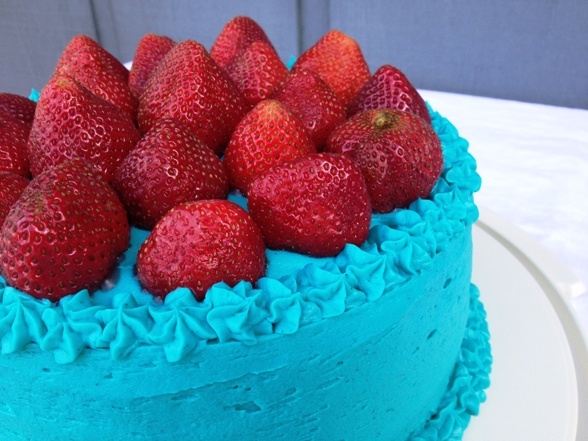 This cake is so easy. A one bowl cake with a simple buttercream. The most work you have to do is zest and juice the limes. 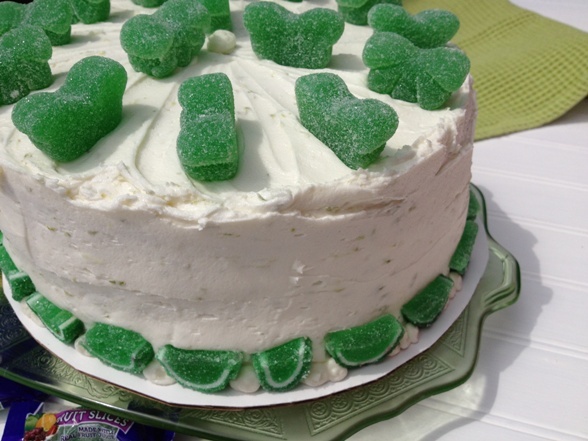 Posted in Fun Stuff, Sweet and tagged buttercream, Chocolate cake, Cocoa powder, Easy, lime. Bookmark the permalink. I know, I know! It’s been a few weeks. What can I say? I was enjoying the spring weather, taking a quick trip to Orlando, and celebrating a lot of birthdays! From about the end of March through the beginning of July there are A LOT of birthdays in my world. Friends and family. Kids and adults. I did a little baking for the occasions. Including these cupcakes for the April birthday of my Uncle. 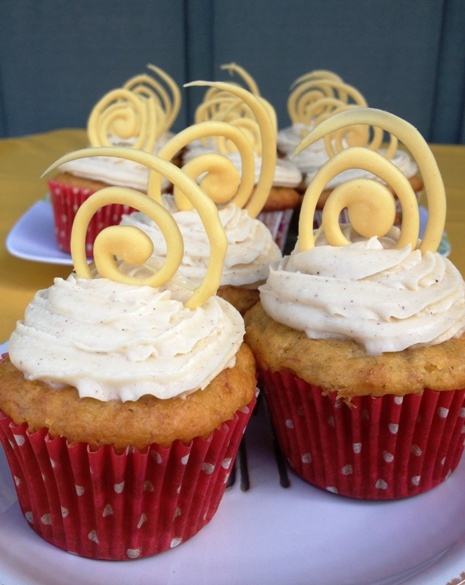 Posted in Sweet and tagged banana, brown butter, buttercream, cupcakes. Bookmark the permalink. Last week we celebrated Sweet 16 for my little cousin, L. Cake was in order. Posted in Sweet and tagged birthday, buttercream, Cake, strawberry, vanilla bean. Bookmark the permalink. Flip flops and high heels. The yin and the yang of womens shoes. And my two favorite types of footwear. I mostly just want to be barefoot which means flip flops are for me. However, I am really short horizontally challenged so the higher the heels the more like a big kid I can feel. Of course, sometimes shoes are an acquired taste. I wasn’t always toddling around on 4 inch heels or gripping the thong of a flip flop between my toes. It wasn’t until after college that I really embraced my love of the high heel and as I’ve gotten older they’ve gotten taller. And flip flops. . .well they grew on me like a fungus. I used to hate the feel of that thing between my toes. However, once I embraced the flip flop I realized how awesome they are. They used to be about the only shoes I wore all year round when I lived in a warm climate. Alas, living back in the Great White North means I only have a small window for flip flops. Foods some times take me awhile to acquire a taste for, too. Generally I am not a picky eater but there are a few things that I had to learn to love. Blueberries being one of them. I love most berries (not strawberries) but blueberries were always the most boring berry to me. Posted in Sweet and tagged Blueberry, buttercream, Cake, graham crackers. Bookmark the permalink. We celebrated a birthday around here this weekend. 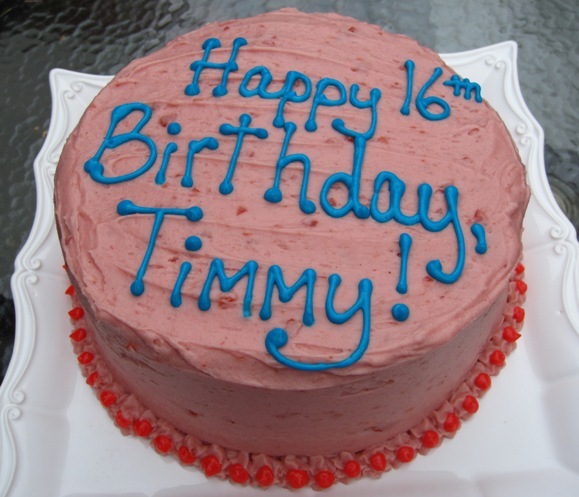 Happy Birthday, Timmy! Don’t mind the fact that the cake is pink. He likes it! 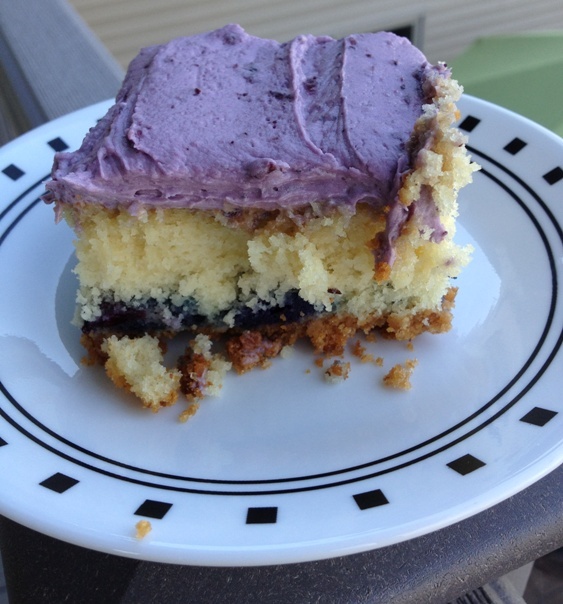 Cherry chip cake was the order of the day. It was delicious. I’m pretty sure that by now all of it is gone. It was 3 layers and easily fed about 10 of us with a full 1/4 of the cake left. It went home with the birthday boy. Posted in Sweet and tagged buttercream, cherry chip, layer cake, maraschino cherry. Bookmark the permalink. 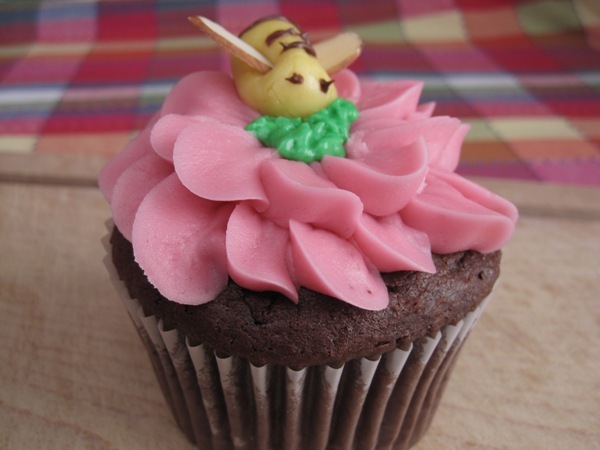 How about some pretty, spring-y cupcakes. All my flowers are blooming so it seems appropriate! These would be perfect for a spring birthday party. Don’t be intimidated by my awesome flowers and bees. I can be sort of awesome. If you can’t fathom taking the time to decorate your cupcakes like these, they will taste just as good if you just slather the icing on with a spatula. Or just eat spoonfuls of the icing and forget about the cake all together. Posted in Sweet and tagged buttercream, Chocolate, chocolate covered strawberry, decorated cupcakes, strawberry, tootsie roll. Bookmark the permalink.